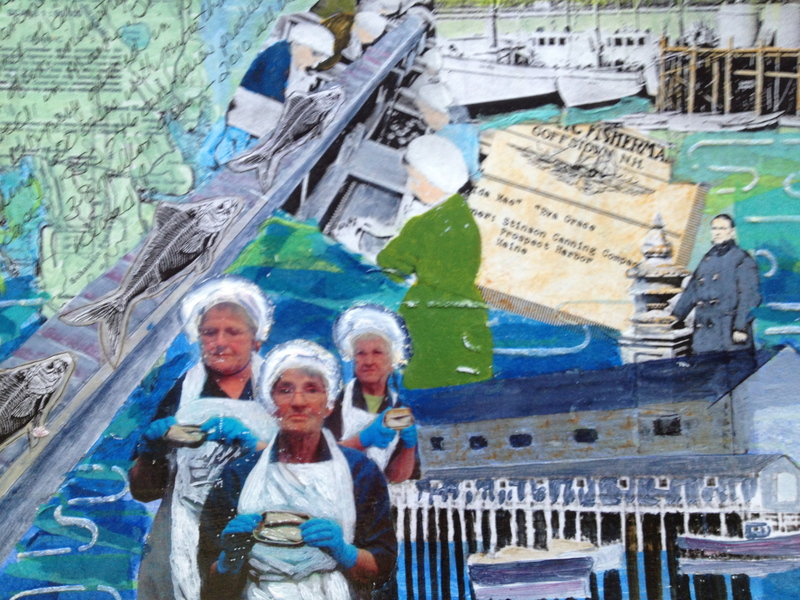 These pieces are part and parcel of another series I am beginning to create about Stinson’s Sardine Factory. 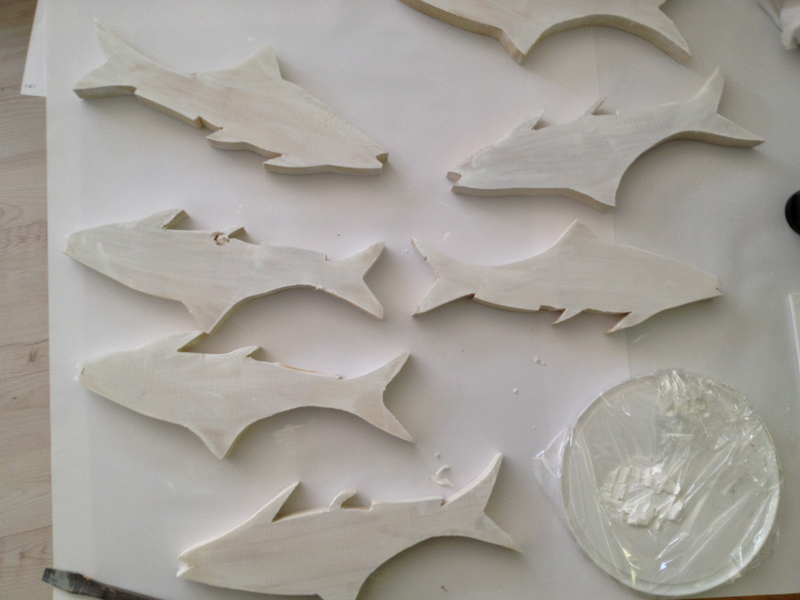 The first mixed media piece is almost finished but the second picture you see is the beginning of Sardine School-which will be a grouping of 7 sardines on metal rods placed like a school of fish in the yard. As many people say about our Maine art-Yaard Aart!!! I’m enjoying the idea of creating this school and am thinking about other pieces I would like to have in the series. I’m looking for some pictures of Lyle Fords’ sea plane and pictures of weirs with working double ended dories to use as inspiration for oil paintings. I’m sure the ideas are endless and will always love to hear your ideas as well.